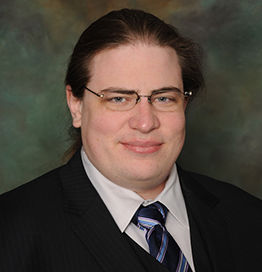 Described by coworkers as “not the lawyer we need, but the lawyer we deserve,” Brendan O’Connor is a security researcher, practitioner, and consultant based in Seattle, WA. He is admitted to the Montana bar, and serves as Vice-Chair of the ABA’s Information Security Committee; while he is a lawyer, he is not your lawyer. He was awarded two DARPA Cyber Fast Track contracts for his security research, which focuses primarily on enabling access to security and privacy through development of disposable computing and sensing tools. He has taught at an information warfare school, played the violin, transmitted on amateur radio (K3QB), and tried to convince his cat not to eat him when he dies.